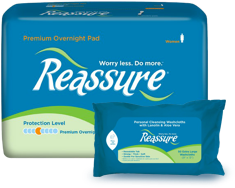 Reassure Personal Cleansing Washcloths are pre-moistened with a gentle cleansing lotion. 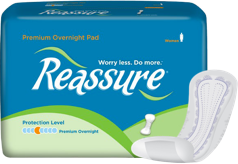 Refill Pack of 50 washcloths. 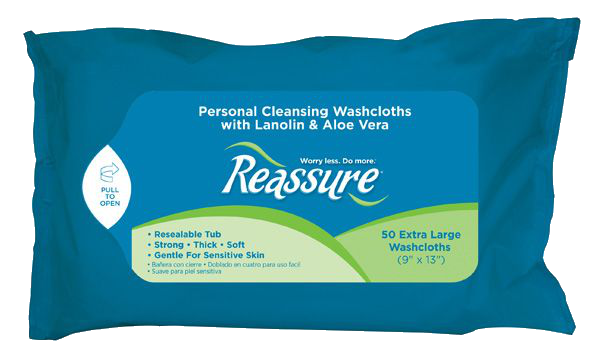 Reassure Personal Cleansing Washcloths with aloe are hypoallergenic and alcohol free. 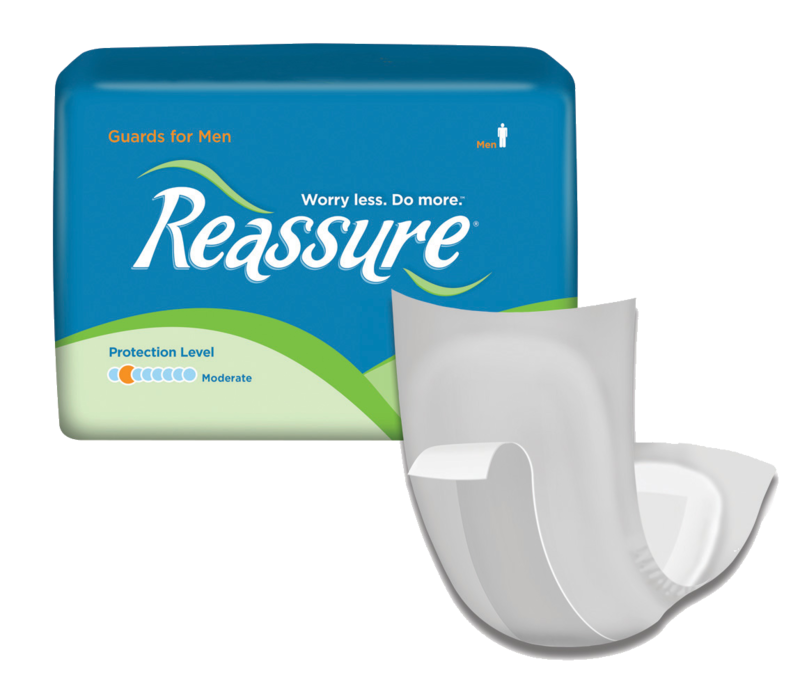 The soft, thick, extra long and strong washcloths are pre-moistened with a gentle cleansing lotion. No rinsing necessary. 9" x 13".